Media Producers Survival Guide now available in more formats! 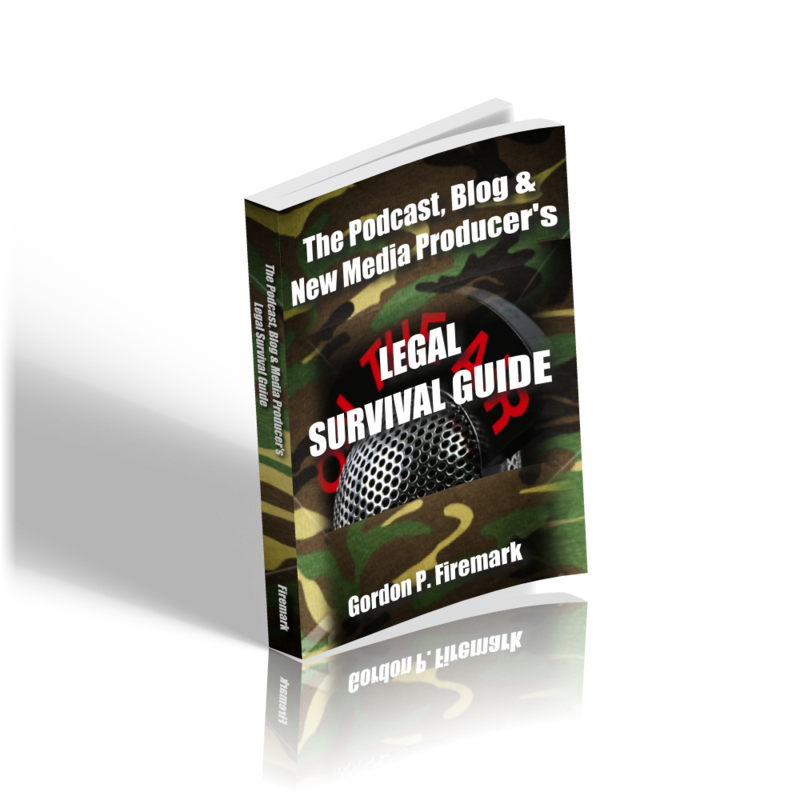 I'm very pleased to announce that my ebook, The Podcast, Blog & New Media Producer's Legal Survival Guide is now available for Amazon's Kindle reader and Apple's iPad, as well as in .pdf format. The Guide is the first comprehensive ebook that gives a clear, concise and layperson friendly explanation of the legal principles, issues and claims that can arise for producers of internet-based media. The guide is designed to help those who write blogs, host & produce podcasts, or distribute video or other media via the Internet avoid the most common mistakes that lead to threats, recriminations and lawsuits. 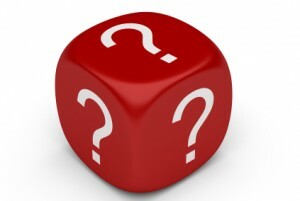 Asked and Answered: What can I do if my co-writer bails before the script is finished? Q: Last year I hit it off with fellow film-maker and we decided to write a script together. This was the first time I've had a partner on a writing project and we were both very eager and excited to produce something. Unfortunately, we began without considering a contract! Fast-forward past the developing difficulties in communication, an inability to give and receive healthy criticism, to his decision to go AWOL. We have a solid yet rough first draft that can go nowhere fast because he now refuses to return emails and calls. I'm not sure what my options are at this point. Can I offer him a stipend and buy the rights from him? And if this is the case, what does one do with the subsequent writing credits? And what kind of things would be included in a contract of this type? A: Ah, the perils of collaborating without a written collaboration agreement. You correctly recognize that a written collaboration agreement could have saved you much grief and uncertainty. When you collaborate with someone, the law considers you Joint Authors, and therefore joint owners of copyright. Technically, a joint author can exercise any of the rights of a copyright owner without the other's consent, as long as it doesn't transfer exclusive rights. So, you could continue with a new draft on your own, but you'd still be required to share billing credit and compensation with your former co-writer. (and the same would apply to him) But, it's unlikely any buyer would accept something less than exclusive rights, so you'll eventually need to deal with one-another and work out an agreement. What are your options? I suppose you could offer him a bit of cash, as a buy-out of the rights, if he'll agree. You could also just agree on a fixed percentage split for the work he's done to date. You'll definitely need something in writing now, so you can be secure in the knowledge that you can exploit whatever finished product you ultimately develop. That agreement should address compensation, transfer of copyright, and the questions of credit, at least as between the two of you. (But note that, if you're WGA members, or the project is produced by a WGA signatory, it's likely that the union's rules will govern credit issues) In fact, you could agree that credit determinations will be handled as though governed by WGA guidelines even if it's not a WGA production. BUT, all of this depends on your recalcitrant (and absent) co-writer being reachable, and amenable to such a deal. If he's angry or upset, he may simply prefer to ‘stick it to you' by refusing to make a deal. My advice would be to try to reach him with a proposal, but don't throw too much time, energy or money at the situation if he's not willing to play ball. If he seems willing, hire an experienced entertainment lawyer to write up your “termination of collaboration” agreement. Don't try to do this yourself. But, If he's not interested, move on. Write your next project. Writing more new material is the best thing you can do for your career. 1. Collaborating isn't easy or simple. 2. Good collaborators are hard to find. 4. Always have a written collaboration agreement… it'll save you money, grief and headaches in the long run.